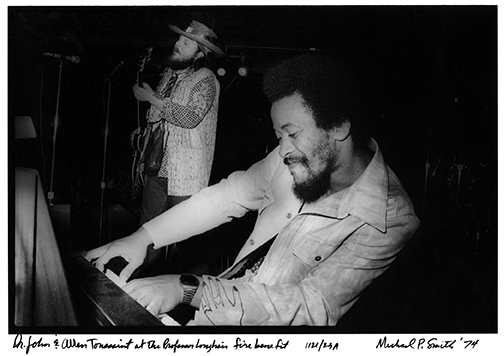 Allen Toussaint (1938 – 2015), an inductee in the Rock and Roll Hall of Fame and the Songwriters Hall of Fame, was one of the most important figures in postwar New Orleans music. 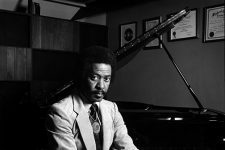 He used his immense talents as a producer, composer, arranger, writer, and pianist to generate hit records–usually for other artists–from the late 1950s through the mid-1970s. 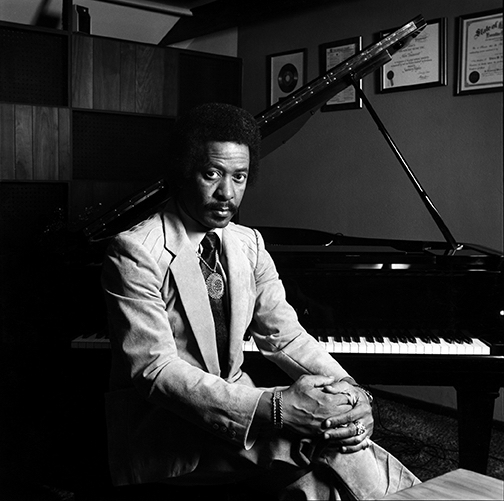 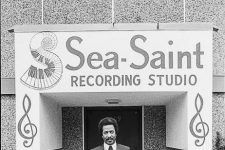 A graduate of Booker T. Washington High School, Toussaint began his recording career at Cosimo Recording Studios in the late 1950s, continued at Jazz City Studio in the late 1960s, and moved into his own Sea-Saint Studio in 1973. 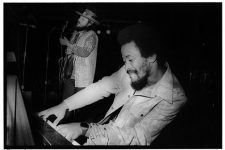 He was also a fixture at the Dew Drop Inn, the music venue and community hub, where he scouted talent. 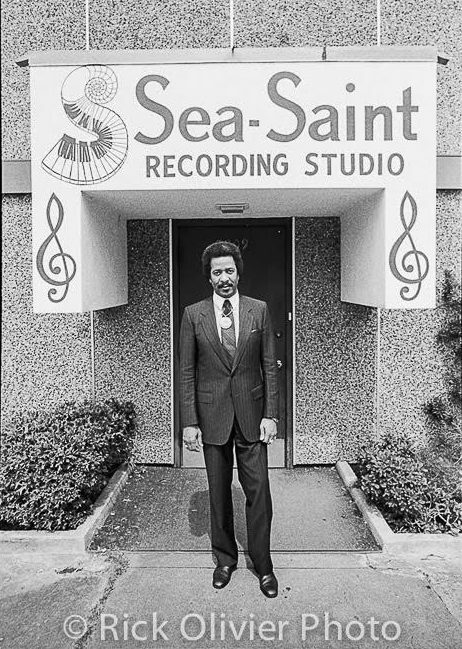 Known for his elegant manner–he seemed always to be wearing a suit and his trademark socks and sandals–Toussaint was one of the few producers and writers of his era to secure his intellectual property rights. 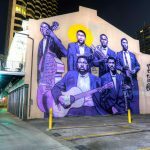 They served him well as his compositions, from the instrumental “Java” to the Lee Dorsey classic “Working in the Coal Mine,” permeated popular culture decades after they were written. Shortly after Hurricane Katrina he recorded “The River in Reverse,” a collaboration with Elvis Costello, and began performing more frequently. 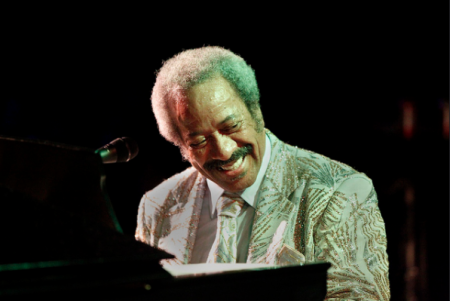 He was on tour in Spain when he passed away unexpectedly at age 77 in 2015. 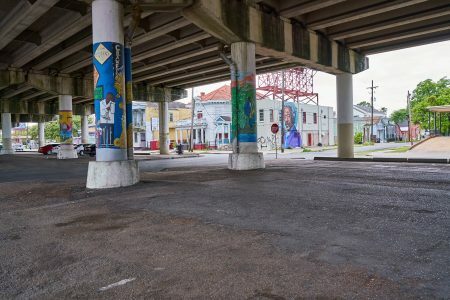 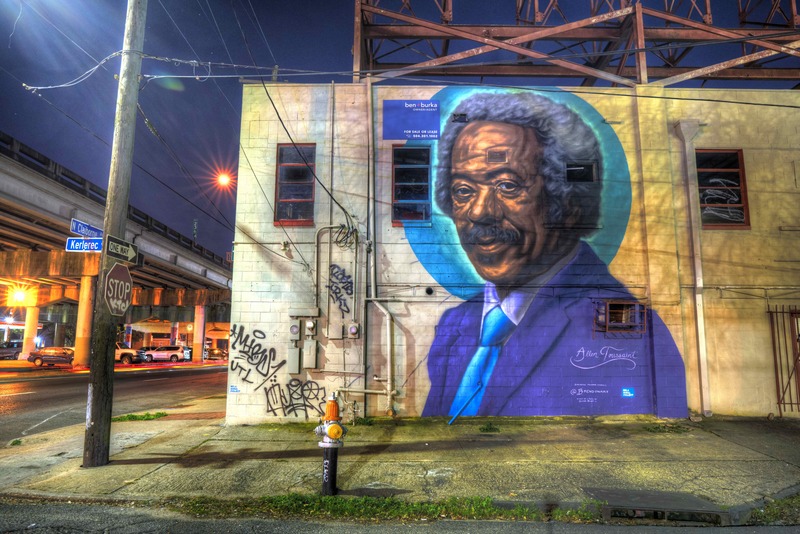 This mural of Toussaint was produced through the NOLA Mural Project and painted by the New York-based artist Brendon Palmer-Angell in 2018. 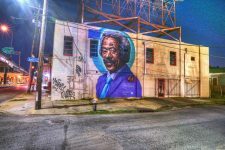 Allen Toussaint mural on North Claiborne Avenue as seen from the beneath the I-10 overpass in 2019.